Dorothy Jane Hahn, 87, entered into rest Wednesday, July 25, 2018 in Manteca. She was born June 15, 1931 in Santa Maria, CA. Mrs. Hahn is reunited in Heaven with her husband of 62 years, Harold H. Hahn. She is preceded in death by her parents Clyde and Stella Wilson, and sister Bessie Schaapman. She is survived by her children; Hilary Hahn and wife Cheryl of Manteca and Diana Joaquin and her husband Clyde of Stockton. She was blessed with four grandchildren; Kristi (Chevy) Hahn-Hackett, Becky Hahn, Brad (Alice) Joaquin and Blake (Meghan) Joaquin; and three great grandchildren; Austin Hackett, Landon Joaquin and Hudson Joaquin. 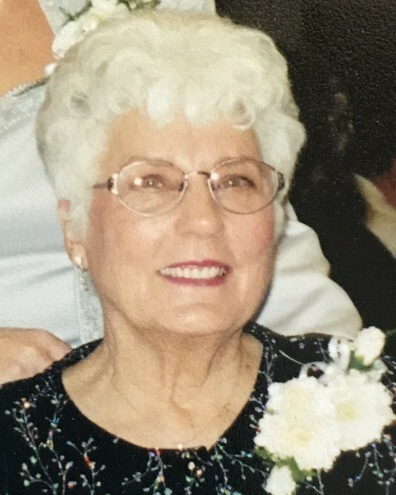 Dorothy was a resident of Manteca for 80 years. She attended Summer Home Elementary School, and Manteca High School graduating in 1950. Dorothy loved quilting, as it was a passion of hers. She enjoyed designing vests and jackets, and received several awards for her beautiful designs. Dorothy greatly enjoyed Sudoku puzzles, camping and going out to eat. Her grandchildren remember her favorite television shows; Huell Howser and the Lawrence Welk Show. She also enjoyed watching Manteca High, and 49er, football games. Dorothy was a loving wife, mother, grandmother and friend. Her presence will be greatly missed by all. The Hahn family would like to extend a special thank you to the caring staff, especially Norah and Margarita, at Remolona for their compassion and love that they so warmly gave their mother during her stay there. P.L. Fry & Son is honored to be serving the Hahn Family. A Chapel Service will be held on Tuesday, August 7, 2018, at 11:00 A.M. at P.L. Fry & Son Chapel, 290 N. Union Rd., Manteca. She will be laid to rest at East Union Cemetery at a later date. In lieu of flowers, donations may be made to Lifeguard Hospice, 5976 W. Las Positas Blvd., Ste 104, Pleasanton, CA, 94588. An online guest book for remembrances and condolences is available at www.plfryandson.com.